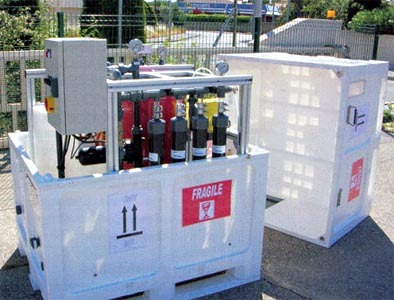 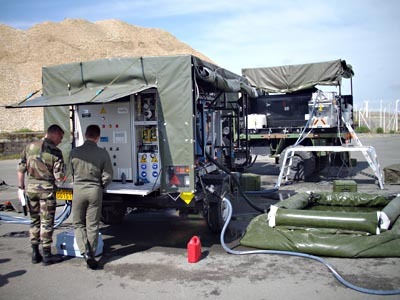 Drinking water production Aquamem® compact units (from UF100LL Aquamem® to UF80/UF120 Aquamem®) are easily containerized, in particular for units used in emergency situation, pilot units for trials but also for projects for which funding and / or land availability are low. 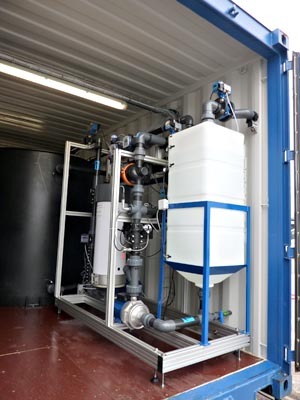 Compact mobile Aquamem® units are thus installed without need to construct a building. 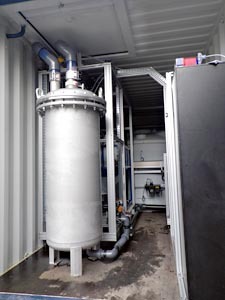 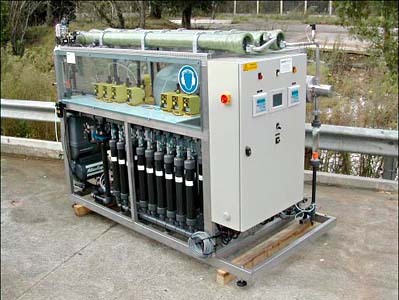 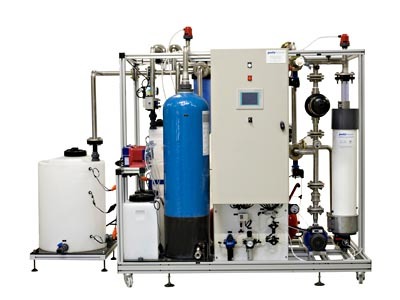 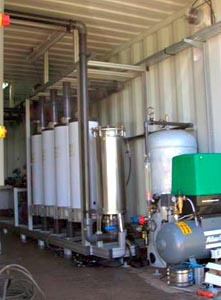 Aquamem® units, equipped with 4 to 24 ultrafiltration UF100L modules (ACS and NSFapproved) are designed to treat natural waters (surface water or groundwater).The flow capacity of these systems is dependent on the quality and temperature of raw water, the production range is between 500 l/h and 6,000 l/h. 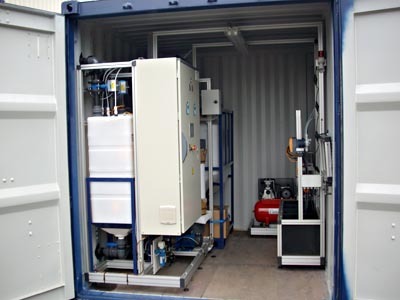 The floor area occupied by these units is between 1 and 3m² for a maximum height of 1.5 m. Higher capacity units, composed of Polymem® UF80 or UF120 modules can be containerized. 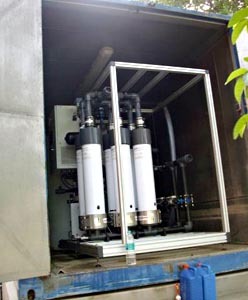 Resources in brackish or sea water can be treated by systems coupling ultrafiltration and reverse osmosis for drinking water production. 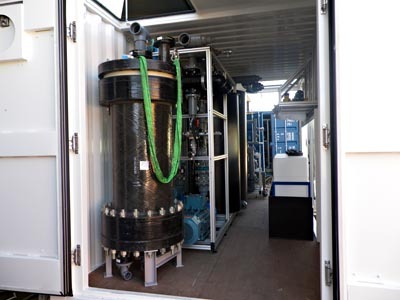 Polymem has a unique expertise in the design of membrane systems coupling hollow fiber membranes for water clarification and spiral wound membranes for desalination.